We run walks most Sundays of term (see the timetable for this terms!). These walks are generally quite casual, and open to everybody whether or not you have purchased membership (see the price difference below). 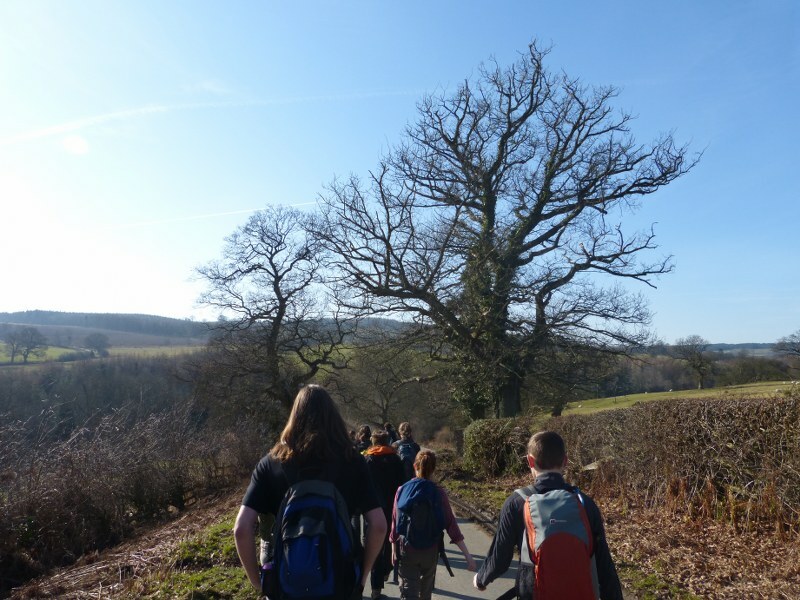 We take a coach to our chosen venue, and from there split into two groups, one group takes a medium-length walk whilst the second group take on a larger route. Both walks are preplanned and led by our trained walk leaders. Medium walks are generally between 6 and 8 miles (10-13 km) long, and tend to be at a reasonably gentle pace and always include a stop for a pub lunch. Long walks are slightly more challenging and are between 10 and 12 miles (16-19 km) long and don't include a pub lunch but instead stop for a packed lunch along the way. 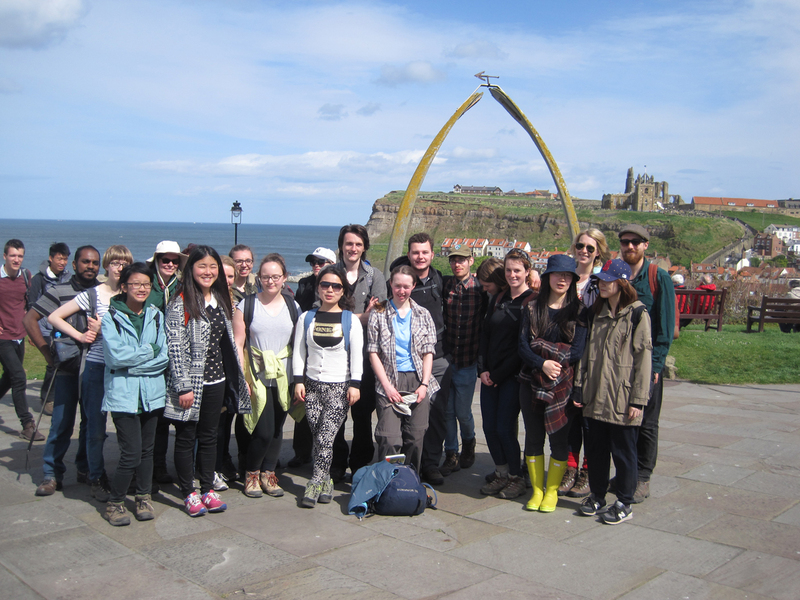 At 4.00pm all the groups meet back at the coach and return back to the University, arriving no later than 6.00pm. Here you can find our comprehensive handbook which contains any information you might like to know about Outdoor Soc! We run both medium and long walks - if you choose the medium walk, please bring money for a pub lunch, as not all places take card payments, and if you choose to do the long walk, please bring a packed lunch, as there is no guarantee that you'll be able to buy food when we get there. Please wear appropriate clothing for a walk in the Yorkshire countryside! Walking boots are best, but if you don't have any, sturdy trainers or wellies should be fine. Also please avoid wearing jeans, because they get very unpleasant to wear when it rains. As this is Yorkshire, you should always be prepared for rain, no matter HOW sunny it looks, so remember to bring waterproofs or other appropriate wet weather gear. We meet near the white benches outside the Roger Kirk Centre in James College at 8.45am. Arrival time back to campus varies depending on where we are walking but we're normally back between 5-6pm. These walks are open to everyone, the prices are as follows: Students with the Members pay £8, and non-members pay £10. To book a place on the trip, you must purchase a ticket from the YUSU website. Tickets for the medium route go on sale from Monday - Wednesday of the given timetable week, and the long route tickets are available all week. Everyone purchases the same ticket, and if you're not a member, we'll ask for an extra £2 on the day. If you wish to join the medium group but didn't purchase a ticket before Wednesday, you can purchase a long route ticket, however you must bring a packed lunch with you, as we can't gurantee you a spot in the pub for food!